San Diego Chargers team officials, including head coach Mike McCoy, offensive coordinator Frank Reich and general manager Tom Telesco went to Eugene, OR, on Monday for a dinner with 2014 Heisman Award winner Marcus Mariota. 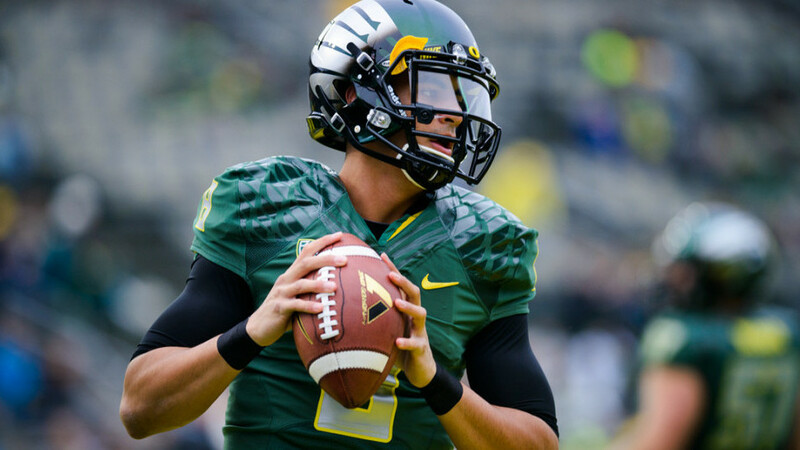 The team held a private workout for the former Oregon quarterback the following day, something that had been in the works for a while. Teams do not have dinners and hold private workouts for players of Mariota’s caliber unless they are serious about drafting them, which has sparked much speculation about the future of quarterback Philip Rivers. Rivers has spoken out candidly of his unwillingness to play in Los Angeles—a possible destination for the Chargers—and has said that he no plans to negotiate an extension for his contract, which expires after next season. A popular rumor has the Chargers sending Rivers to the Tennessee Titans for the No. 2 overall pick in this year’s draft, where they would presumably select Mariota. Nashville, where the Titans play, is 90 minutes away from his childhood home in Decatur, Ala., and close to his in-laws, according to a report from U-T San Diego. This wouldn’t be the first time that Telesco would be apart of a team that is transitioning between an iconic quarterback and a rookie. He was the vice president of football operations for the Indianapolis Colts when they parted ways with Peyton Manning in 2011 and drafted Andrew Luck. As of right now the Bolts hold the No. 17 selection in the draft. Most mock drafts have Mariota being selected before that, so the team working him out signals that a trade is possible. The 2015 NFL Draft will be held April 30-May 2 in Chicago.